One thing I learned while working with Power Plant Men is always expect to be surprised. I just didn’t quite expect one September morning in 1996 to have a Power Plant Engineer sit down next to me and tell me about the day when he decided to brutally murder his wife. The eight Power Plant men sitting in a circle with their backs to each other working on computers all turned their chairs around and listened intently as Mark Romano, a Power Plant Engineer poured out his soul. I had first met Mark Romano five years earlier at the Muskogee Power Plant when I went there for three days to be trained on how to troubleshoot the telephone system we used at the Power Plants. 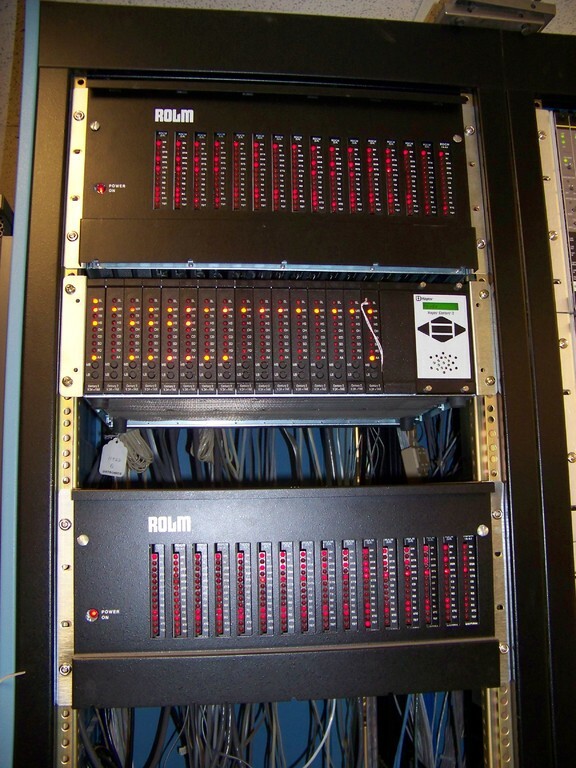 It was called a ROLM system. I gathered that Mark had coordinated the training and was sitting through the class as well. The name of the course was “Moves and Changes”. What a great name for a course on how to work on a telephone system. Mark was a clean cut engineer from the power plant in Mustang Oklahoma. He had just been hired by the Electric Company and was the type of person that you immediately liked because he seemed to have a confident stature and smile. The look in Mark’s eyes was a little wild as if he was mischievous, which also made him an instant candidate to become a perfectly True Power Plant Man. I didn’t know at the time that Mark had been in the Marine Corps. It was clear when Mark entered our over-sized cubicle that day that it was specifically because he had something on his mind that he wanted to share. Even though he began telling his story directly to me, after the rest of the Power Plant Men had turned their chairs and were sitting there in silence with their jaws dropped and their mouths open in astonishment, Mark stood in the middle of a circle sharing his story with all of us. The story began ten years earlier when Mark was a U.S. Marine. He was on an extended mission in Central America on some covert missions. I figured it had something to do with Oliver North and El Salvador, but Mark didn’t go into that much detail about the actual mission. He just mentioned that he had been out of pocket for some time while he was away on this particular tour of duty. While sitting on the military plane flying home to Tinker Air Force Base in Midwest City, a suburb of Oklahoma City, he was anxious to finally see his wife again. He hadn’t seen her for a long time and was looking forward to coming back home. The anticipation of returning home grew the closer he came to his destination. As Mark disembarked from the aircraft families of Marines poured out to greet their Heroes who had put their lives on the line and their families on hold while protecting and serving their country. Wives and children were hugging the Marine soldiers as Mark walked through the crowd looking around frantically for his wife. He was searching for his wife who was not there. I don’t remember the details of the story at this point, but I believe that Mark took a cab or a friend drove him to his home in Oklahoma City. When he arrived home he met his wife at the door that told him that she had basically left him. She had found someone else and Mark was no longer welcome in his own home. I think at this point Mark went to temporarily stay at another soldier’s home while he worked out what exactly he was going to do with his life. He didn’t really come back to a job waiting for him. He had always been a Marine. Mark has served his country in a covert war in a distant country that didn’t exactly measure up to Mark’s idea of “defending America from the Halls of Montezuma to the Shore of Tripoli” even though the “Halls of Montezuma” may not have been too far away from where Mark had been deployed. Out of a job, a wife that had waited until he was on the front doorstep of his house to tell him that she had left him, and no where to go, Mark began to spiral down quickly. The first stage of grief is denial. Mark could not believe this was happening. After serving his country, he comes home and finds that his wife has kicked him out of his own home. How can something like this be happening? Just fall asleep on this couch and maybe when I wake up, it will all turn out to be a big mistake. The second stage of grief is Anger. This is a necessary stage in order to go through the process of grieving. Sometimes we can process our anger quickly and move onto the next stage of grief toward healing. Other times, Anger can become overwhelming. Feuds can begin. Wars between nations. Husbands can murder wives. An all consuming hatred can take hold which leads only to death. This was where Mark’s grief had left him as he sat on the couch at his friends house. He had nothing left in the world. Nothing but Anger. Sitting there staring at the wall of the apartment while his friend was at work, a plan began to take hold in Mark’s mind. The plan centered around one thing… Revenge. Complete and total annihilation. Murder and Suicide. As if on auto-pilot Mark waited until the opportune time when his friend was gone. Then he gathered his equipment, put on his khaki’s and put his assault rifle in his car. He had planned his route. He was driving to the neighborhood just down the street from his house, where he was going to park the car. Then he was going to proceed through the neighbor’s backyard and attack from the back door. He was going to kill his wife and then himself. He was on the last mission of his life. With all of his equipment ready, his car parked, ready to begin his assault, he stepped out of the car and onto the curb, ready to make his way across the backyard, suddenly he heard the quick burst of a siren from a police car and over a police car speaker a police man yelled, “Stop Right There!” Instantly because of his experience in the Marines, Mark ducked down behind a transformer box that was right next to him. The Police were waiting for him! How could this have happened? He hadn’t told anyone about his plan. Maybe his friend had figured it out. However the Police had figured out his plan, they were there now 50 feet away in a police car. Mark decided that he would just have to go down right here. This was it. No one was going to take him alive. A Policeman jumped out of the car, gun drawn… Mark prepared to leap up and begin shooting… In the next few seconds… Mark was laying behind the transformer dead. Pierced directly through the heart. Just as Mark stood up to shoot the policemen, the officer ran around the car away from Mark. He ran up into a yard on the other side of the car where he confronted someone who had just come out of the house he was robbing. Mark quickly ducked back down behind the transformer. The officer had not been confronting him at all. He was arresting someone who had been robbing a house. He hadn’t even seen Mark! Mark sat crouched behind the transformer and the sudden realization that he had just come face-to-face with God became clear. Suddenly all the anger that had built up disappeared. God had stopped him in his tracks and instantly pierced his heart with Love. Mark laid there as if dead for some time while the arresting officer drove away with his prisoner. When Mark finally stood up, he was no longer the Mark that had been alive the past 25 years. This was a new Mark. Some would use the phrase… Born Again. In that one instance when Mark ducked back down behind the transformer, he relived the moment that Saul experienced on the road to Damascus. In a flash he had come face-to-face with Jesus Christ. The new Mark put his gear back in his car and drove back to the apartment and began to live his new life as if it was day one. Sometimes it is when there is nothing left that you find everything. Mark finished telling the Power Plant Men his story by saying that now he lives each day as if it is precious. He has been saved for some purpose. He lives with God in his heart. I think we were all turning blue because we had forgotten to breathe for the last five minutes of Mark’s life story. We finally all breathed a sigh of relief and felt the love that Mark had for each of us as he looked around the cube. So, what did Mark do after he returned to the apartment back in 1986, ten years before he told us this story? He decided to enroll in college at Oklahoma State University in Stillwater Oklahoma, where I lived. He obtained a Mechanical Engineering degree and went to work in 1991 for the Electric Company at the plant in Mustang. I wondered if he ever thought about the fact that he went to work for the same company that owned the transformer that Mark ducked down behind the day he fought his battle against God and Won. 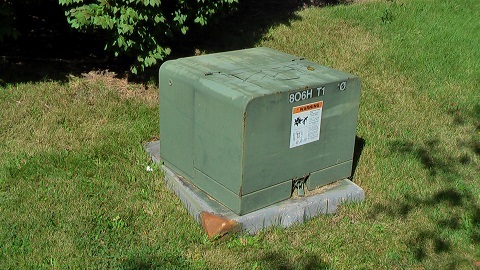 A company engineer had decided one day years earlier while helping to plan a neighborhood that they needed to place a transformer right at this spot. We make decisions each day that have consequences that we never know. He never thought… “Yeah. Place the transformer right there. This will be needed some day by someone who needs to have a one-on-one with God who will convince him to be an Engineer for the very same company. Mark has kept in touch with me through the years. He sent me an e-mail around 2004 when I was working at Dell telling me that he had decided to obtain his pilot’s license. He felt as if he should pilot an airplane. He was even thinking about leaving the electric company to become a full time pilot. 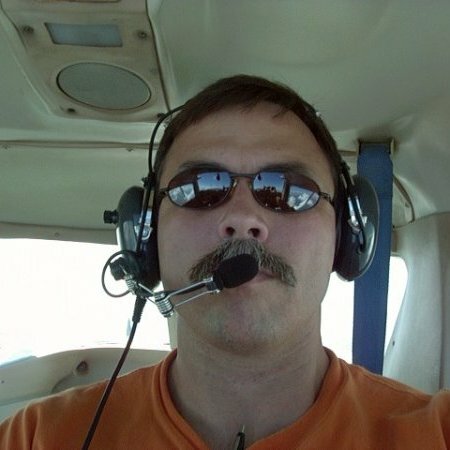 A few years later, he became an FAA Licensed Private Pilot. He sent me an e-mail that day letting me know. Mark is now listed in the Federal Aviation Administration’s Airmen Certification Database and was recognized by the FAA on September 18, 2013 as a pilot that sets a positive example in the Aviation Business Gazette. When Mark was telling us of his life and death experience, I was having flashbacks of a similar experience that had happened to me when I was in High School. I bring this up only to mention that when I had come to the point where I had lost everything in my life, even my own sanity, I came face-to-face with a friend who pulled me out of it in an instant. Only, it wasn’t Jesus Christ, as it was in Mark’s case. It was a friend of his. Saint Anthony. Saint Anthony picked me up that one day when I was at the end of my rope, and since that time, I have felt the same joy in life that Mark experiences. I believe that “coincidence” is a word we use to explain things that seem too unlikely to happen on purpose. Some of us think that nothing is a coincidence. Everything that happens has a purpose. I didn’t wake up today knowing that I was going to write this story about Mark. Before last week’s post about my friend Bud Schoonover, who died the previous week, I had told two stories about our experience in Corporate Headquarters where Mark Romano had been our project manager. So, I thought, “Is there anything else about our time there that I could write about, and the story that Mark had told us had come to mind. It was only at the end of the story that I thought about how Saint Anthony the “Finder of Lost Items” found me in the woods that winter day. 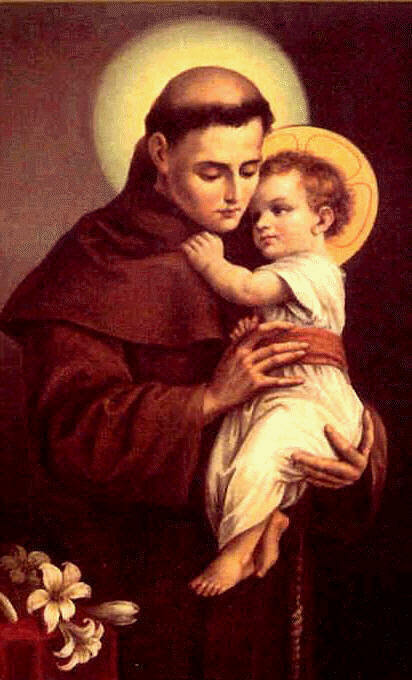 Saint Anthony’s feast day is today… June 13.